Packing is tiring and a slow process for me normally, but also a lot of work socially and emotionally. Each time I’ve relocated, I’ve had to say goodbye to friends and familiar places, as well as where significant memories were made and dreams were birthed. Even though I’m an adventurous and social person, it is still hard after moving to be in a town where I don’t know many people or which grocery store has the best selection and prices. Maybe I am tired of packing my life up into boxes and deciding what gets to stay in my life and what must find a new home elsewhere. Maybe I’m tired of saying goodbye to people and places once foreign but now familiar and trusted. Maybe I just wish I didn’t have so much stuff to move. What ever the reasons behind my inner experience, here I am one month out from uprooting my life one more time and wondering why I’m feeling the way I am and if anything can make it easier this time. I feel like I should be doing more to get ready, especially when people keep asking me how the packing is going. I know those shoes, bowls and books won’t get themselves up the mountain without my help! 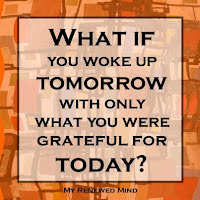 Be thankful – The power of gratitude is a popular topic these days both in casual and scientific circles. If you are new to the positive psychology movement check out the founder’s TED talk on gratitude. Or take a look at this popular 21 day Gratitude Challenge. 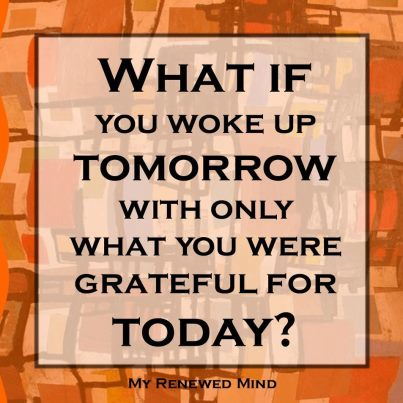 I’ve learned that an attitude of gratitude can go a long way in changing my negative thinking. I have plenty that I can be thankful for right now such as money to pay for a moving truck, my husband to help carry heavier boxes and nearby family to help lug our couch down 3 flights of apartment stairs. I am thankful for the opportunity to live and work in beautiful Estes Park, CO where wildlife crosses my path daily and the mountains surround my every side! I’m grateful that we are buying a home where we can live as long as we both should like, without the need to deal with a poorly run rental office or renewing an annual lease. I’m so thankful for friends in California and Indiana that call, text or visit me regularly to keep our relationship strong over the distance. Being thankful for these things lifts my mood and my mind.The appreciation gives me motivation to move forward and put in the effort it will take to reap my reward. Be patient – I can already tell that I will need to put some items in storage when we move, much against my heart’s desire, but our new place just isn’t that big. I’ve decided to be patient with life and be okay with the fact that my new cute little home is just that – little. Just because something I own is in storage and temporarily out of my daily life doesn’t mean it is gone forever. I trust that whatever I can’t fit in my new place will patiently wait in storage for my return. Honestly I am not a patient person by nature though. I frequently live life too fast and once I make up my mind about something I want to make it happen now! Alabama’s song “I’m In A Hurry To Get Things Done” is sadly, yet frequently, an appropriate theme song for me. Making new friends, learning the ways around a new town, finding a new church or an open soccer league simply take time.As much as I have wanted and expected resettling to be an instant transition, I now know it just takes time to get reestablished after a move. Life can only unfold so fast and rushing a natural process only cheapens the experience or lessens the outcome. I’ve chosen to be patient with myself and my life, letting my habits, routines and relationships develop one day at a time in my new place. Being patient lets me live in the present and really enjoy all that is right in front of me. 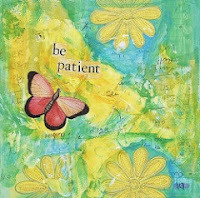 Patience helps me accept my daily life and put it into perspective. I can fend off disappointment and fatigue better when I wait willingly because I don’t over do life. Be kind – This one seems so simple, but it hits me deeply as I reflect on what makes relocating easier for me. Being kind certainly goes along with being thankful; I need to be nice to the people who help carry boxes and furniture down too many flights of stairs and I need to be kind to the new people I meet if I have any hopes of making new friends. I need to be liberal with my kindness, not selective with a here and there “thank you”. Who throws out just one or two pieces of confetti at a good party? I find that I need to be kind to myself too, perhaps as strange as that sounds. I need to be nice to myself as I go through this next big life decision and transition. Being kind to myself looks like taking the time to soak in the tub after a long day of packing. It feels like not getting mad if something breaks during the truck trip up the mountain. 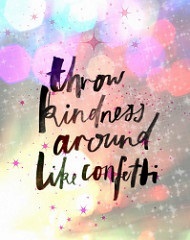 Being kind or nice to myself means stopping when enough is enough and realizing there is always more I can do tomorrow. Without a doubt being nice to myself is accepting the fact that I feel resistant to packing and that I have valid reasons for wishing I could have all of my favorite belongings just magically appear up in my new place and exactly where I want them! If that is how I feel, that is okay. Being kind makes my heart and mind softer, willing to yield more to my present reality and accept life as it is, for myself and those around me. Hopefully, over the next month as I get ready to move focusing on being thankful, patient and kind will make this relocation a little easier. I know I am blessed and that no transition is every easy or instant. If you have tips to share about how to make a relocation easier, please share your wisdom. Thanks for reading! First published by Jessica Lynn Johnson in 2016 for JLJCoaching Services, Ltd.